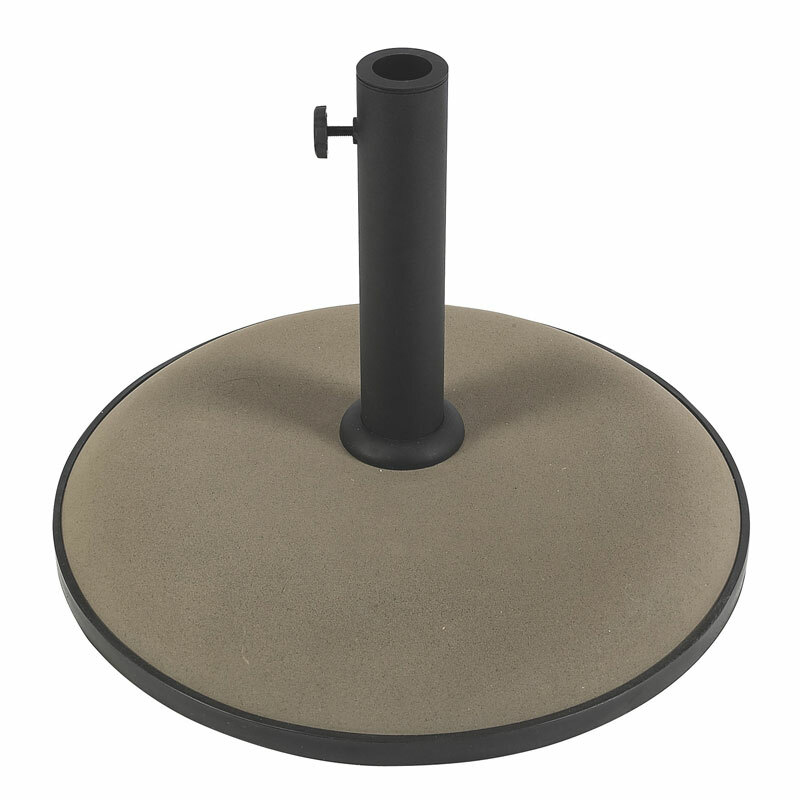 A solide concrete base for use with 7.5', 8', and 9' umbrellas. The standard black sleeve accommodates 1.75" poles. Some assembly required. Standard black sleeve accommodates poles up to 1-3/4" in dia.